The days of a neutral interior design are long gone, and whether it’s a vibrant mosaic feature wall or an intricately tiled floor, patterned tiling is an interior trend set to continue to rise. An imprint of your personality is a feature sure to transform your house into a home, and with no shortage of options when it comes to patterned floor tiles it couldn’t be easier to get creative with your interior design this new year. From modern geometric-shaped tiles in your living room to vibrant ceramic floor tiles in your bathroom, incorporating a variety of patterns into your home’s interior is sure to make it stand out. In today’s post, our room-by-room guide explores an array of patterned floor tiles for you to implement into your home and combine style with function throughout. From the risk of dangerous slips to the issue of drainage and dampness, the wet conditions of the bathroom mean that floor tiles will always be one of the most functional choices for this key area in your home. Avoiding visual disturbance is a must for these smaller spaces, so opt for large scale bathroom floor tiles and consider continuing the effect on your walls with a practical yet fashionable bathroom splashback. For a modern and versatile bathroom, the white, grey and black tones within patterned porcelain floor tiles will perfectly contrast with cabinets made from natural wood. Additionally, we suggest adorning any shelves or window sills with leafy green plants to add a new dimension to this al fresco inspired interior. Arguably the busiest room in your house, when it comes to this kitchen space, designing for practicality will always prevail. A durable and stain-resistant floor will save you effort and money in the future, which is why so many interior designers recommend investing in low-maintenance (yet equally stylish) kitchen floor tiles. The high Porcelain Enamel Institute (PEI) rating makes ceramic floor tiles an obvious choice for kitchens and other busy areas of your home, while the intricate, artistic pattern of ceramic tiles means that you can brighten up your room in an array of shades and colour variations. To channel the look of a homely, rustic kitchen, pair your vintage pattern with a dark wooden work surface and kitchen or dining room table set – or go the extra mile by injecting a touch of shabby chic with upcycled antique furniture. From entertaining friends to relaxing on a Sunday evening with family, the amount of time that you’ll spend in the living room means that this interior should be styled to suit you and those closest to you. The heat transferability means that floor tiles will always be an excellent and practical choice for homes with underfloor heating. But it’s the intricate detail and versatility of designs which makes a tiled floor so appealing in this space in the first place. For an elegant living room that commands attention from floor to ceiling, a rustic and delicately designed Peronda Victorian-style tile will add subtle character to a vintage-inspired home. Embellish the room with authentic antique detail or create a stark contrast through vibrant shades of upholstered furniture – it’s all down to personal preference and your own unique style when it comes to making the most of your home’s interior design. The most relaxing room in your home, complementing your bedroom interior with soft shades and the incorporation of natural light will ensure that you can get the quality of sleep that you need and deserve. Specialised receptors in the retina mean that avoiding harsher colour schemes will help improve your sleep – so, where possible, opt for neutral tones rather than vibrant reds and bold plums. Colour psychology may make certain tones more appropriate for the bedroom, but that doesn’t mean that you shouldn’t add a subtle tint of drama to your space with beautiful patterned floor tiles. We love the idea of creating a sophisticated quilted effect by dressing your bedroom floor with Octagon Variette mosaic tiles. Not only will these add depth and individuality to your room, but will save you investing on wall hangings and decorative textiles too. First impressions count, and that means that your interior design should capture the eyes of your guests from the moment they step foot through your door. Therefore, why not begin in the hallway and optimise your typically narrow, light-emitting space by rejuvenating it by opting for muted tones in order to brighten up your hallway? 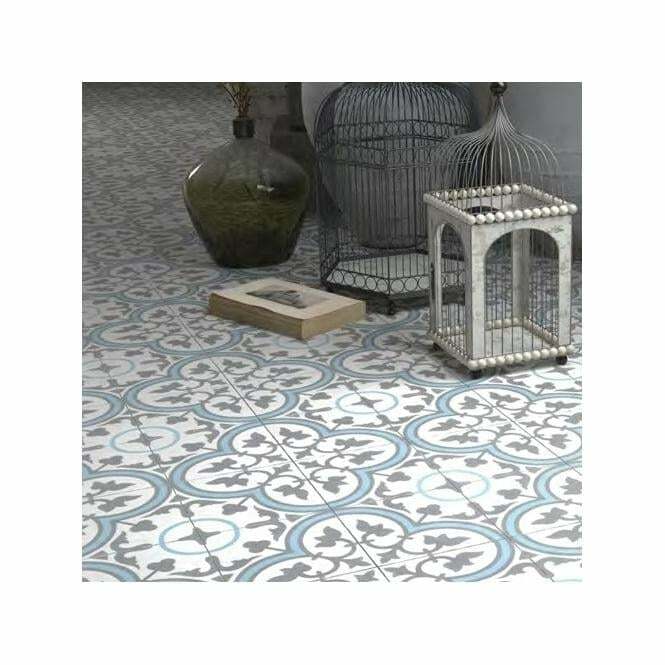 Intricately patterned encaustic tiles will catch the gaze of both regular visitors and new guests time and time again, and the pastel blues and paler hues will reflect natural light around this space – emphasising the unique design of your hallway tiles. Each room in the house will no doubt come with different requirements. But with the extensive range of functional and sophisticated floor tiles, there’s no reason why you shouldn’t – and couldn’t – inject a dose of pattern into your home. 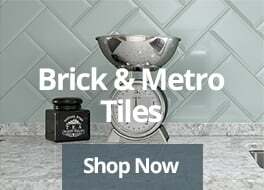 Whether you’re looking to make a bold statement, or add extra value to your home with the addition of carefully selected, intricately-designed patterned tiles, make sure that you come direct to Tiles Direct. 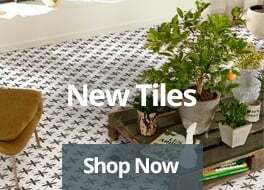 Browse our diverse range of high-quality floor tiles online to see which tile suits your style. Alternatively, draw on interior inspiration from around the globe by checking out this blog post on some of our favourite overseas aesthetics.